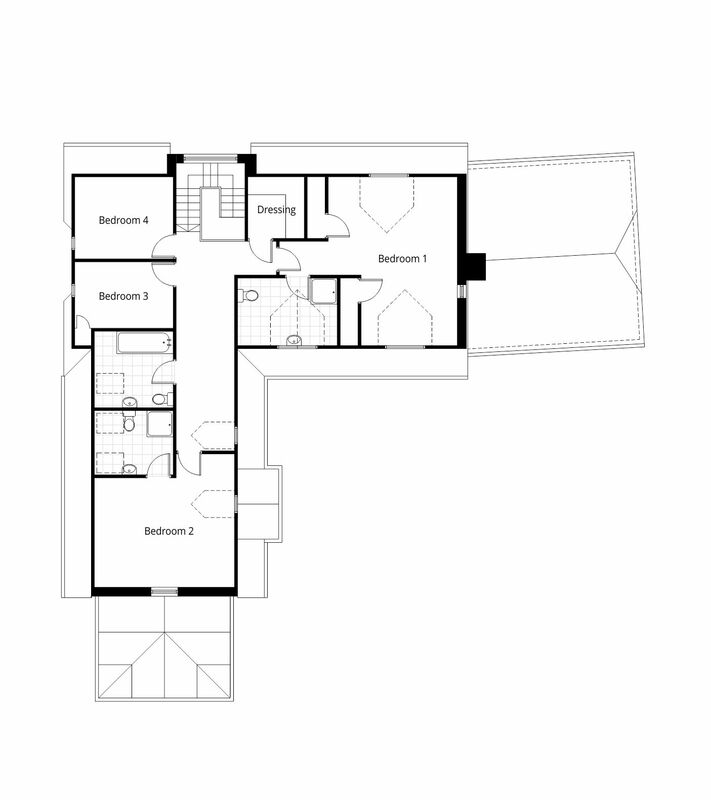 We successfully gained planning for a two storey rear extension to their family home. The appearance of the extension was kept in line with the existing character of the house and included a large open plan kitchen, dining area and a new master bedroom with dressing room and en-suite. The planning application added approximately 10% to the value of the property making it more desirable to potential buyers with large families or a first time buyers looking for a project. 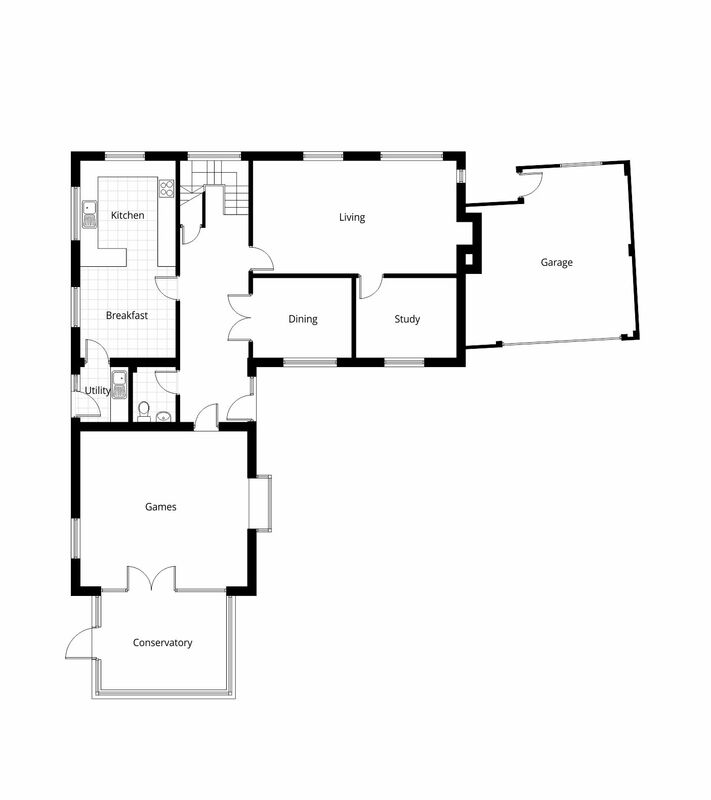 Existing ground floor plan drawing required as part of the planning application to the Vale of White Horse Council, compiled from a measured building survey. Existing first floor plan drawing required as part of the planning application to the Vale of White Horse Council, compiled from a measured building survey. Proposed ground floor plan drawing required as part of the planning application to the Vale of White Horse Council. 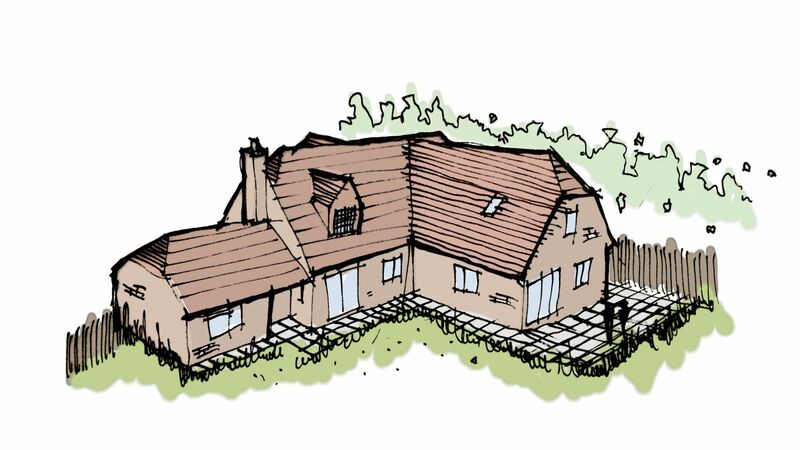 The drawing illustrates the extent of the proposed two storey extension, with an open plan kitchen and family areas, bi-fold doors providing access to the garden and a new utility. 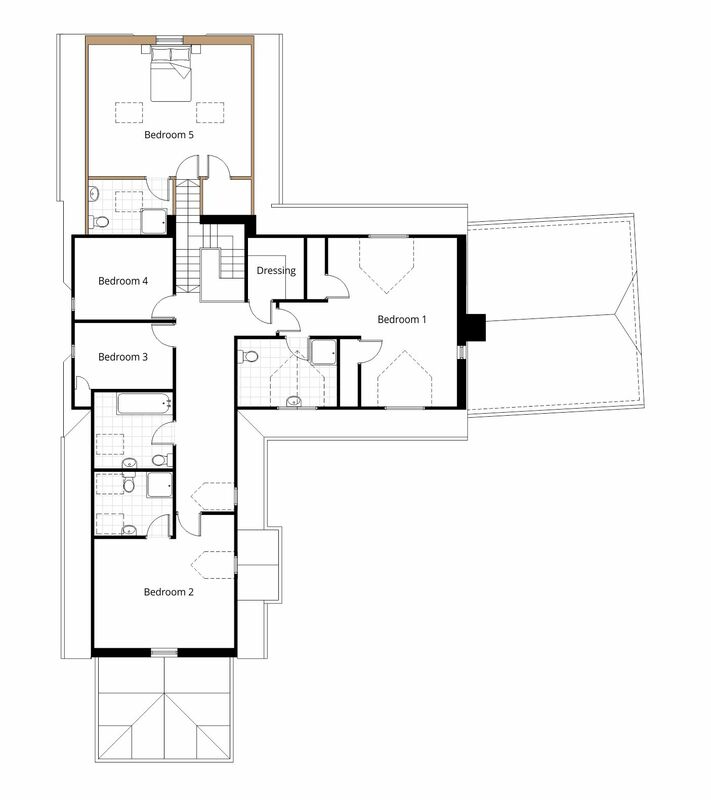 Proposed first floor plan drawing required as part of the planning application to the Vale of White Horse Council. 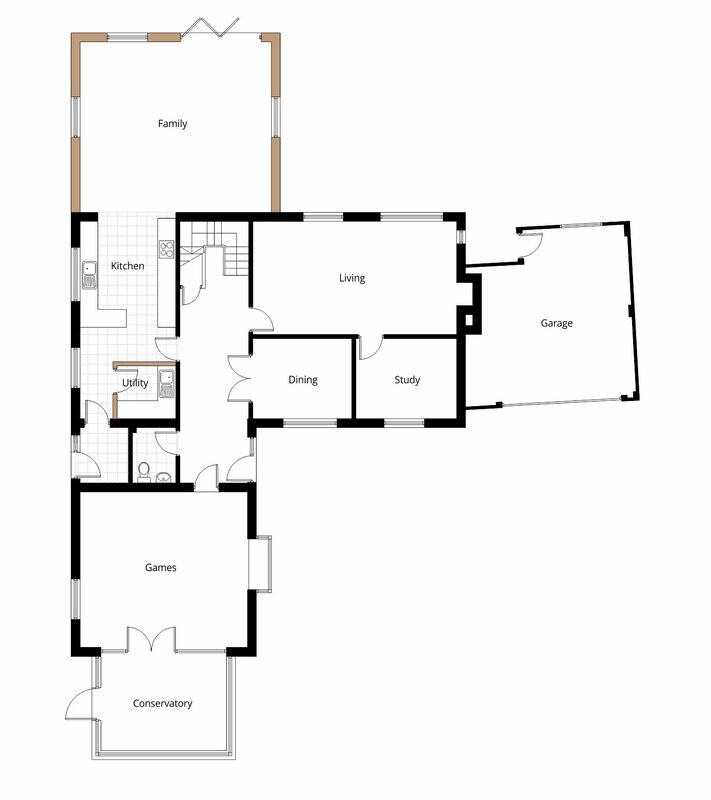 The drawing illustrates the extent of the proposed two storey extension, with a new master bedroom suite with dressing area and seperate en-suite bathroom. Sketch Illustration drawing for discussion with the Vale of White Horse Council of the proposed two storey extension in preparation for a planning application.